Free mobile recharge apps: Mobile phones are an important part of our life. We daily use to talk over the phone with family, friends, co-worker and others. But we have to invest more balance. In past days, we are using simple phones and on a simple phone we also got recharge offers, Like “Dial 12345 and Get 1000 Talktime” etc. Now the time has been changed, we have moved to android, iOS phones from simple phones. These phones consist of a lot of Apps. Therefore, also some best mobile recharge app available, which provides best Talktime offers. If you got some free recharge offers then how you will feel? Awesome, Right? 😛 So here I am with a new post to helping you with free recharge and free recharge offers. In this post, I am going to tell you 15 best free mobile recharge apps to get talk time offers. Note: In this post, you will get original and authenticate free mobile recharge apps details. There will be no fake details. It’s my guaranty. There are many mobile recharge apps available that offer amazing cashback, discounts, offers, and also free recharge. You can get the free recharge by simply download the application and complete some task. You can also get cashback on every recharge you are doing through the apps. There are many apps that also provide the awesome discount on the recharges. Why are some apps providing free recharge? If you are thinking that why some apps and some companies providing free recharge offers? Why are they losing money? This question is right in your mind. However, you are wrong they are not losing their money.You have to complete some task as install applications or you have to sign up. For completing these tasks, they are giving you free mobile recharge. If they are giving you R.s. 50 in free, then they are earning it’s double. Therefore, this model of free recharge apps is good for you as well as their providers too. A). Recharge apps with Talktime offer: This part consist of top 5 free mobile recharge apps which provide Talktime offers. B). Apps- Free Recharge by Completing Tasks: This part consist of Best 10 free mobile recharge apps, you will get the free recharge by completing tasks as installing apps, referring friends etc. If you install these type apps into your smartphone then these free mobiles recharge apps will provide you best discount offers information with Extra free Talktime information.. these type apps can save your lot of Talktime money. We all know about PayTM. If you do not know then I am going to tell about PayTM. PayTM is mainly online recharge site owned by One97 Communications Limited. PayTM also provides online shopping, nowadays Paytm started Paytm Wallet feature. This mobile app is famous for its coupon. PayTM offers coupon codes on a regular basis for cash backs and for free recharge. Paytm gives Rs. 50 free talk time to the new user. You can download PayTM Mobile recharge app on your Smartphone. Then sign up verify your number, then you will get free recharge, but check on your behalf currently PayTM is running this offer or not. You may find free mobile recharge related offers on PayTM website and on PayTM apps. There are many promo codes provided by PayTM such as FREE50, GET30, GET10. Therefore, go on PayTM website, or download app and see the promo code of the Today. To know the offer and promo code of the day, go to paytm.com or go to the mobile app, and drag to the “recharge and bill payment store” and choose recharge offers. You will get awesome free talk time and cash back offers on every recharge. You can make quick payment, as it has the functionality of saving debit/credit card details. You do not need to enter your details every time, only you have to submit your PIN/OTP. Nowadays every person has more than one number. If you wish to get more offers related to recharge, and cash back on recharges. Then also make new id with your other number and get more offers and more free Talktime. E.g. If Paytm is offering Rs. 50 free Talktime for the new user and you have 3 mobile number then create 3 accounts and get Rs. 150. You can download PayTM free mobile recharge apps from Playstore, iTune Store, and windows store. Freecharge holds the second position in the list of free mobile recharge apps. Freecharge.in is an online mobile recharge website as well as mobile recharge app. Accelyst Solutions Pvt. Ltd owns this website, but now it is in the hand of Snapdeal. You can recharge your mobile phone, Data card, DTH and you can pay the postpaid bills too. This mobile recharge app is famous for their offers and cash backs. Every time Freecharge provides some offers and cash back. Currently, they are providing cash back of Rs. 50 above the recharge of Rs. 50, and the promo code is HI50. Therefore, by using this mobile recharge app you can get many offers. You will also get awesome talk time offers, as recharge with Rs. 20 and get Rs. 40. This is an awesome free Talktime recharge app. I truly love it. It is very fast and secure. Secured by Norton and having 128 bit SSL. It supports comprehensive payment option. You can download Freecharge app on your Android, Windows, and iOS phones by help of bellow given button. Mobikwik, one of the famous name, in the mobile recharge app category. I have placed it on the third position in my list. The Mobikwik app and website also provide mobile recharge, DTH recharge, Bill Payment and now money transfer is coming soon. One Mobikwik Systems Pvt Ltd owns the Mobikwik. You can awesome free Talktime offers only for joining Mobikwik, as it used to provide up to Rs. 50 to it’s new user. You can get cash back offers on recharge too. For know the current free recharge and cashback offers visit to offer section. Easy: You can easily get offers, and make recharges too. Fast: The process of recharge and payment is very fast. Secure: The payment is totally secured. Gives talk time offers daily. Therefore, Mobikwik is one of the top free mobile recharge apps, that provides awesome talk time offers regularly. You can download Mobikwik free mobile recharge apps from Playstore, iTune Store, and windows store. 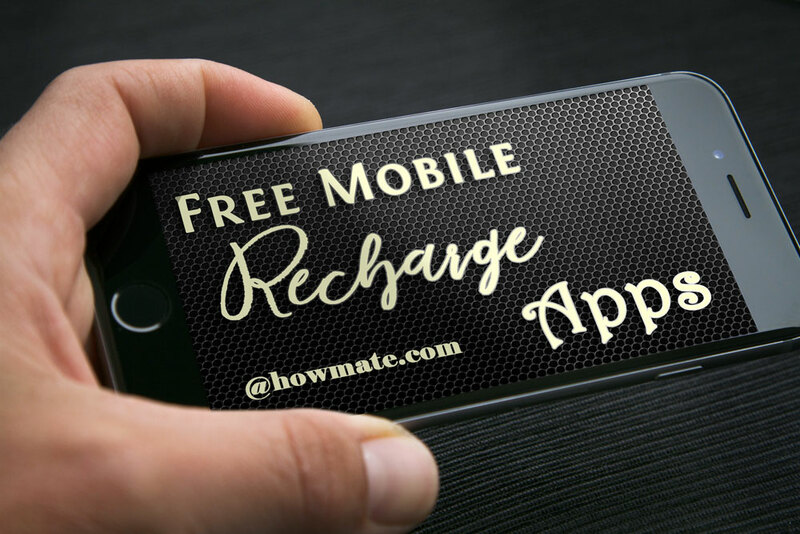 RechargeItNow is also an awesome platform to get free mobile recharge talk time offers. As RechareItNow offers mobile recharges for various operators, DTH recharges and bill payments. The mobile recharge app is also avail of the RechargeItNow. This website and provides various types of offers and methods to get free recharge, win recharges and also get awesome free mobile recharge talk time offers. First of all, go to play store or apple iTune store and download the RechargeItNow mobile app, and then start getting free offers. You can earn free Talktime to telling your friend about recharge it now, when he/she will join with your link you will get free Talktime. On mobile app you can get free recharge by completing some of the tasks as by filling a form and get huge free talk time, by purchasing somewhere (e.g Purchase a Flight ticket on MakeMyTrip and get Rs. 50 Recharge) and you can also get free talk time by downloading and installing android apps on your android phone. JustRechargeIt holds the fifth position in my list. Now you can recharge your mobile/DTH and Data Card numbers from anywhere and at any time on your mobile device. JustRechargeit is also an online mobile recharge, DTH recharge provider. JustRechargeit is also a mobile recharge app, and you can simply download this app from play store as well as iTune store. This mobile recharge also provides free recharge offers and Talktime. Currently, this mobile app providing Rs. 10 off on every recharge. You may get awesome shopping coupons, on the coupon you will get discounts as well as free talk time offers. So just go download and install this mobile recharge app and start getting free mobile recharge Talktime offers, and awesome coupon offers. mCent is also a very famous app for getting free Talktime. As mCent gives Rs. 10 for installation bonus and Rs. 30 for every referral. You can download this app from Play store and start earning free talk time. You can redeem your earning by doing recharge on your mobile number. Free Mobile recharge android app is one of the best free earning recharge mobile app. This app having 1,000,000 – 5,000,000 downloads, and rated for 3+ in Google Play store. Just you have to download and install this app, and then you will get the offer dashboard where you have to install the apps. Pokkt money gives higher payout for every install; therefore you will get awesome free mobile recharge offers. You can also refer your friend and you will earn Rs. 21/referral. You can get free talk time through this app. Cash Boss, not only offers free recharge for downloading and keeping apps, it also gives Rs.10! per friend referral. So go to play store, install cash boss and enjoy free recharge and talk time. Ladooo a very famous apps among android users. This app provides also high payout on every install, you can make some talktime by reffering your friends. The minimum redemption is Rs. 20 through mobile recharge. So download this app from play store and enjoy free mobile recharge talktime offers. Amulyam is an old app which provide free recharge and talktime by completing tasks. You can earn good amount by installing this app. This app has wide range offers. So Download and start earning free talktime. You can get free talk time through this app. Task Bucks gives free recharge for referring friends and for installing apps. You can make more money from this app. Download this app, complete task, and then get a recharge on your numbers. You can earn free talk time, by downloading this app from Play store and then install some apps, every installation gives you a good payout means when you download any other apps by the help of this apps then you will got some amount talktime and also You can get more free talk time by referring your friends. Earn Talktime is my favorite free mobile recharge apps, hope you also enjoy this app and will earn talk time. Quick Cash is little different from other free mobile recharge apps. It gives you points rather than Rupees. However, you can recharge your mobile through those points. You can also get more points by referring your friend to Quick Cash. FreeATM provides Rs. 20! Sign up bonus and Rs. 30! for per referral. You can earn more free talktime by completing offers, this free mobile recharge provides daily new offers. So you just need to download and sign up and get Rs. 20! Bonus and enjoy free recharging. You will get free recharge offers by completing tasks, for completing offers. This is also a good free mobile recharge apps. You can simply download it from Play store and then you can start earning. You can also refer your friend and earn. First of all, thank you so much for being on the post. In this post, I have reviewed about 15 Best free mobile recharge apps to Get Talktime Offers. Personally, I have used all those application on my Android phone then I reviewed. If you have any question regarding free mobile recharge apps then feel free to comment below. If you also know any best free mobile recharge apps, which provides free recharge offer as well taltime offers then you may share with us. Do not forget to share this post on social media like Facebook, Twitter, Google plus, and tell your friend about these awesome free mobile recharge apps.